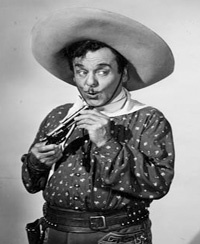 There have been 28 Cisco Kid movies spanning a time frame from 1914 to 1994. There were two silent movies made. One in 1914 and one in 1919. 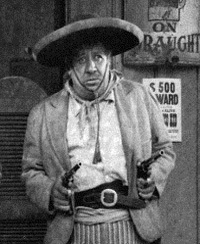 The "talkies" started in 1928 with the majority of the movies made up to 1950. 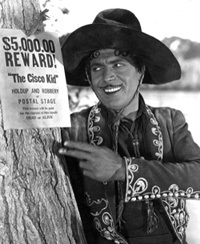 A Cisco Kid TV movie was made in 1994. In movies Cisco has been played by seven different people. William R. Dunn1 in the first silent movie in 1914 and Vester Pegg1 in the 1919 silent movie. 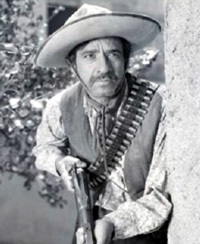 Warner Baxter played Cisco in 5 movies from 1928 to 1939. 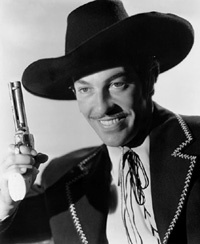 Cesar Romero was Cisco in 6 movies from 1939 to 1941. 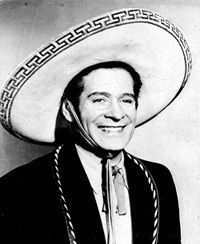 Duncan Renaldo played Cisco in 3 movies in 1945 and again for 5 movies from 1948 untill 1950. 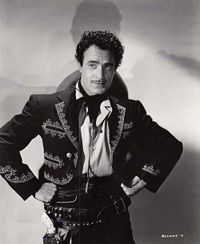 Gilbert Roland was Cisco for 6 movies from 1946 to 1947. Jimmy Smits play Cisco in the 1994 TV movie. 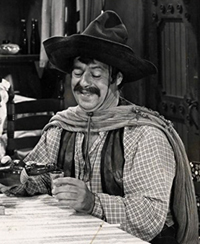 1 Unfortunately we were not able to find any photos of William R. Dunn or Vester Pegg as The Cisco Kid.